Those who do not like crowds or too many people should stay away from Paris in May because the city practically vibrates with life during that time of the year. Paris in May is visited by a large number of tourists and is absolutely bustling with people from around the world. If you plan to spend your vacation in one of the hotels in Paris during peak tourist months like then it would be wise to book well in advance. The weather in May is better than April with more sun and less rain, one of the many reasons making it a more popular choice for tourists. The weather is usually quite pleasant and quite perfect for romantic strolls in the winding lanes of the city and dinner in a posh restaurant or a nice café. Paris is in full bloom during May and very beautiful. Interestingly, there are many holidays during the month of May, one must remember that Paris is almost shut on 1st May with many restaurants, banks and public offices closed. If you are upset about the closed museums on first May, then the month of May can make it up for you as well. Museum Night also takes place during the month of May. On Museum night, Museums open the door to visitors free of entrance charge and stay open till quite late at night. The month of May offers some more excitement with amazing variety of attractions like the Artist’s Open House which takes place in Belleville galleries. For those who want to visit artist for its art, this is an event that they should not be missed out during your trip in May, as it allows one the opportunity to get to know some of the popular contemporary artists along with their works of art. More than two hundred artists take part in it and it usually takes place at the end of the month of May. On the other hand, those who love sports cannot come to Paris in May and leave without watching at least one game of the French Open held at Roland Garros. The French Open is one of the most exciting tennis tournaments in the world and many famous tennis players such as Steffi Graff had made their debut in the French Open. May can be a wonderful month to visit Paris, but one must book a hotel in Paris well in advance, one can book a room in one of the many hotels in Paris through websites. 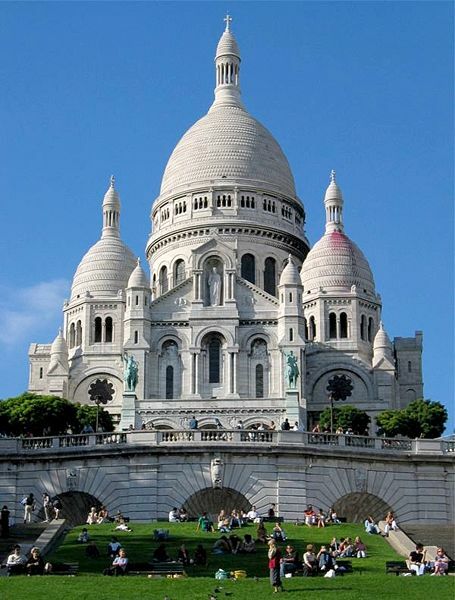 Websites featuring hotels in Paris often show a large variety of hotels within the city along with other essential information so that tourists can take a well informed decision. Last but not the least, while packing your bags do pack some comfortable shoes, jackets as evenings during the month of May might get a little nippy. Together with this, pack a good sun block for the day as well as umbrella, as the month of May does witness some amount of rain and shower. This entry was posted in Basic Travel Tips for Travelers to Paris and tagged Artist’s Open House, hotel in Paris, hotels in Paris, Museum Night, Paris in May. Bookmark the permalink.